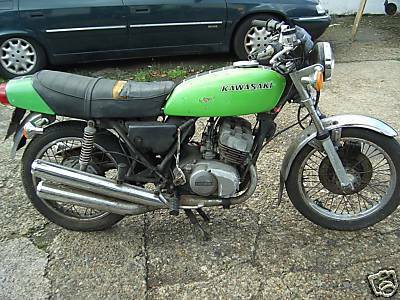 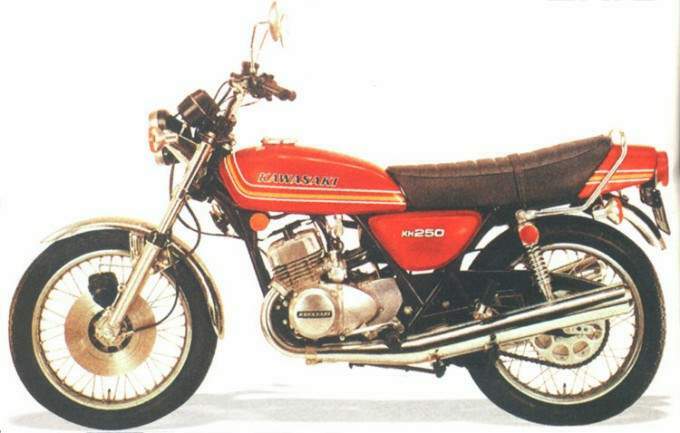 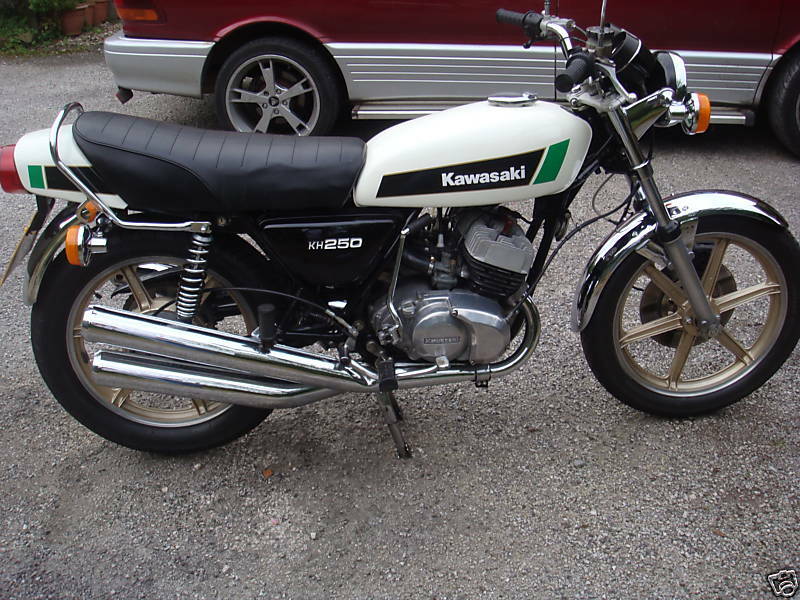 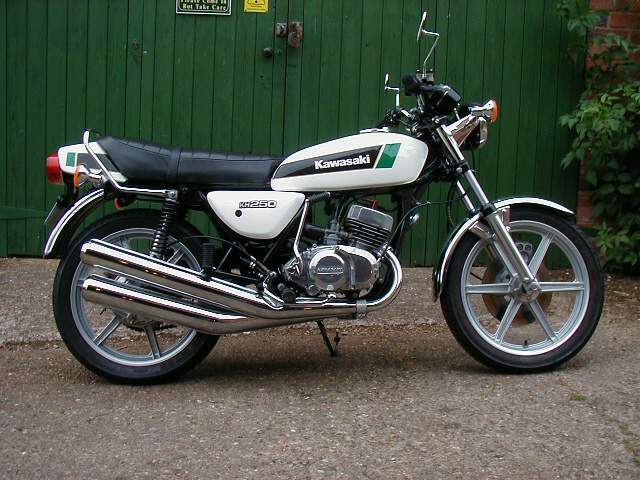 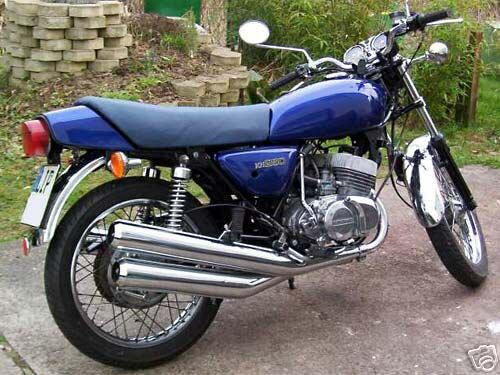 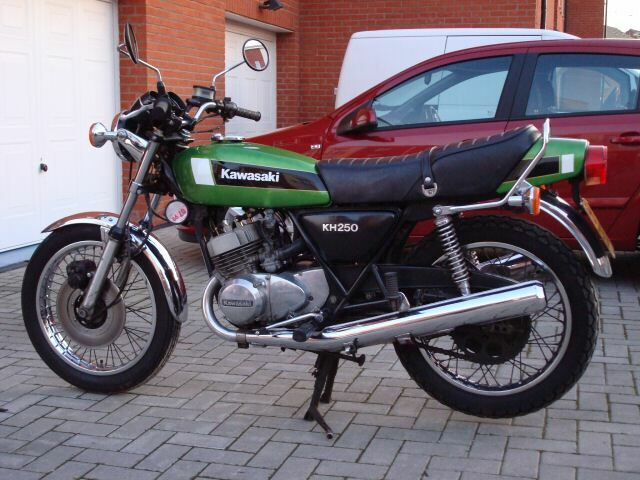 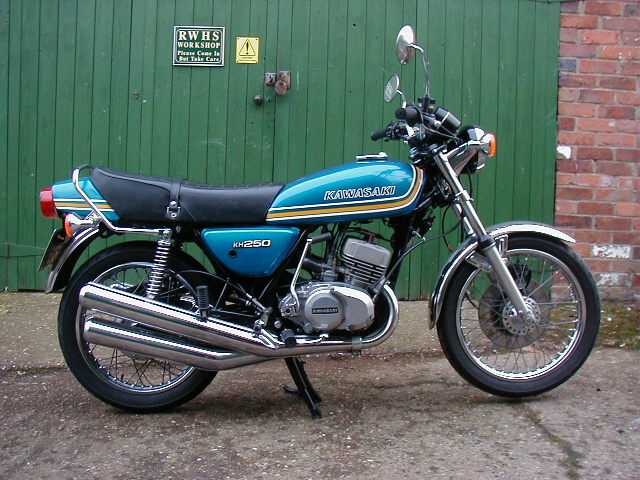 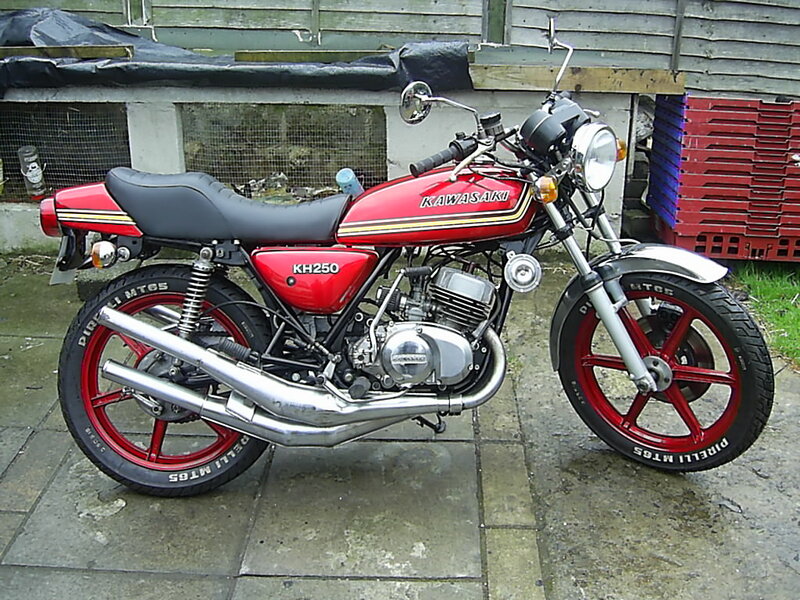 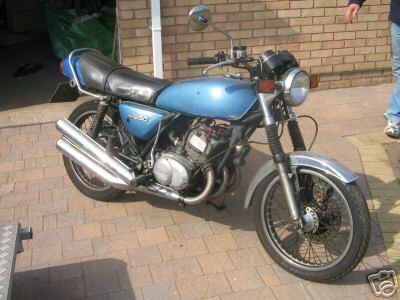 1976 Kawasaki KH250 B1 In 1976, 250 KH B1 replaces the 250 S1 victim of the oil crisis. 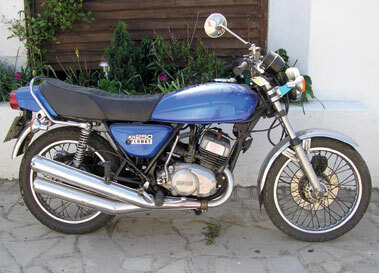 The base engine remains the same (3-cylinder 2-stroke), but the power is reduced to 26 hp. 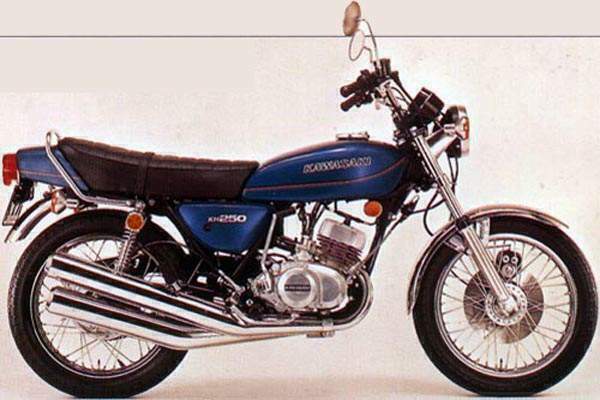 The power loss was primarily due to the introduction of exhaust systems less free and the setting of fuel. 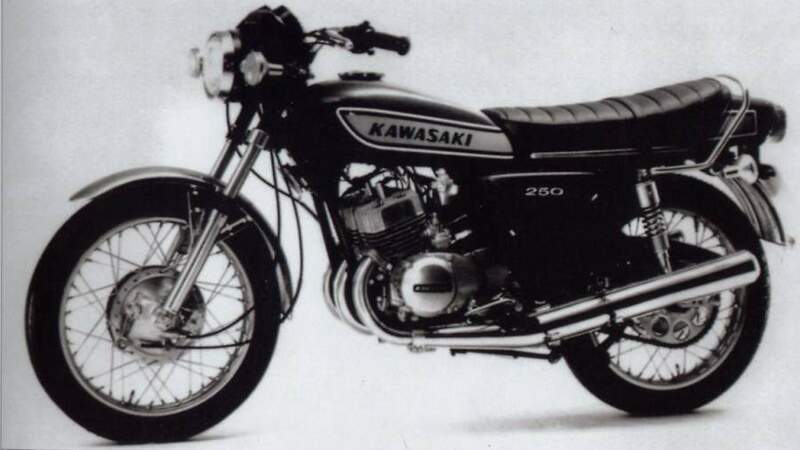 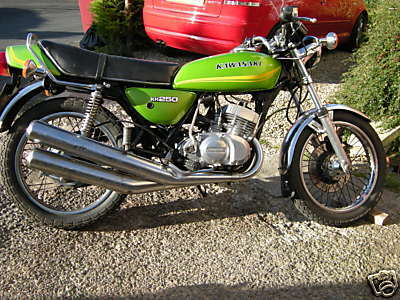 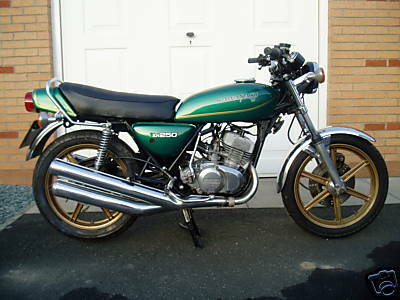 The triple cylinder two stroke Kawasaki caused a sensation worldwide when it was introduced in 1968 as the Mach 111, and though performance was spectacular handling left a little to be desired, but continual development produced a range of bikes of varying engine capacities up to 750cc, but by the mid seventies the range had diminished to 400 and 250 models.